Often considered a pest species, the humble Silverfish is associated with damp and cool locations, including basements, garages and bathrooms. 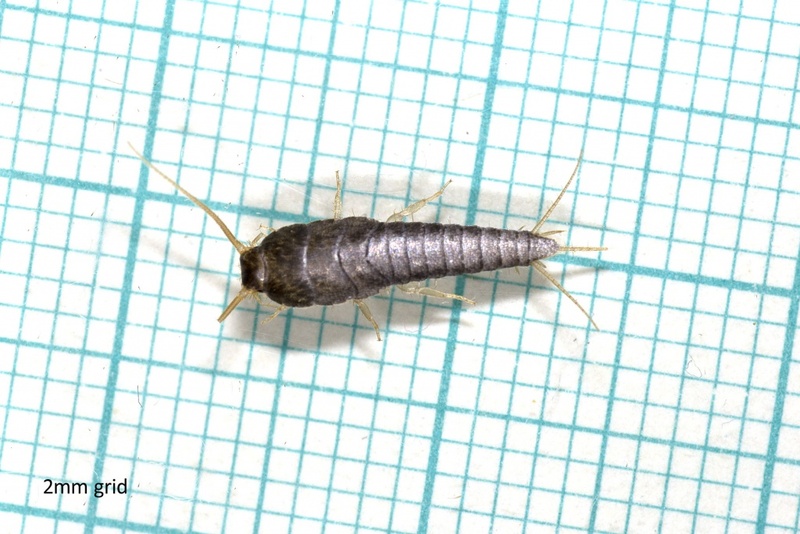 Amazingly there are only 17 records of Silverfish in the WHOLE OF WALES, 8 of which lie within SEWBReC. An excellent example of something considered too common to record! This fast moving (and well named!) species is quite disctinctive, with its fishlike shape and silver colour. The only possible confusion species is the Firebrat (Thermobia domestica), but this similarly well named species is associated with warm locations such as bakeries, and is brown in colour. A little more information on Silverfish is available from NatureSpot and UK Safari. This map in the Data Access Tool shows the distribution of Silverfish at a 10km square level for the whole of Wales. Zoom in or click on a 10km square to see the 1km square record distribution. If you spot a Silverfish (or Firebrat!) during September (or see the species at any other time of year), please send us the record, ideally via our Species of the Month form on SEWBReCORD (nb. you will need to be signed into SEWBReCORD to use this link). Instructions on how to submit records are available here.